Mega Bloks Review Mama Say What?! | Mama Say What?! 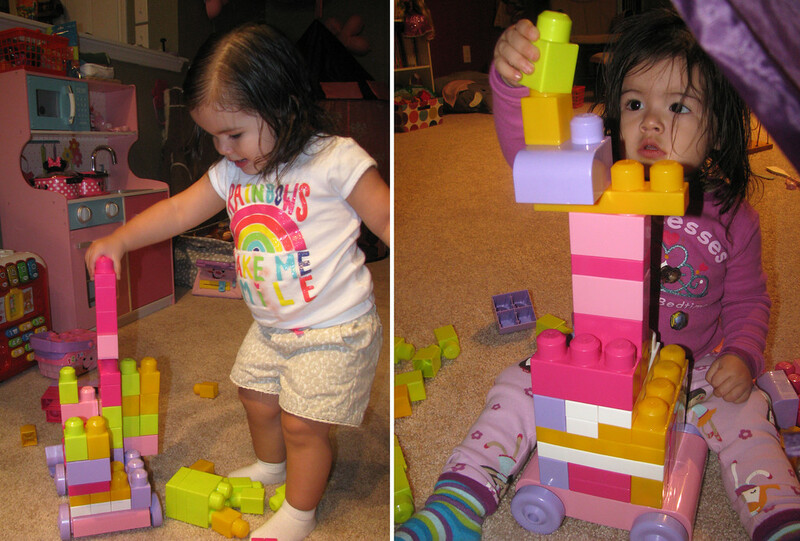 Playing with her Mega Bloks is my daughter’s new favorite pastime. We gave them to her on Christmas morning and she’s been obsessed ever since. At first, she just threw them and hit them against each other because she loved the noise that they made. Then, she would randomly stack them on each other with no regard as to whether they were stable or not. I think she rather enjoyed when they would topple over in a big crash. She’s slowly gotten better at creating taller, more stable towers. When she’s done, she steps back, admires her work, then she will either knock it down with one swing or take it apart block by block to restart. It’s safe to say she enjoys the demolition just as much as the construction. They have also helped us as we are working on our counting. 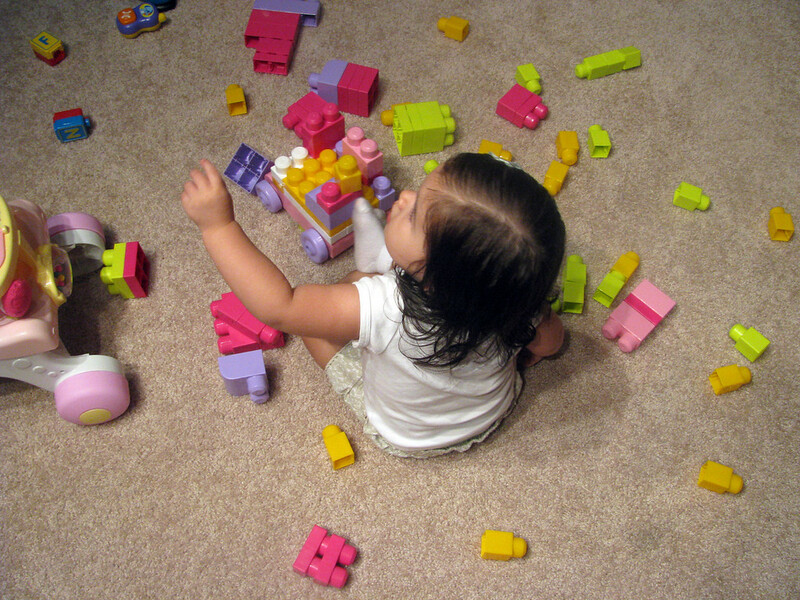 She likes to take the small, single blocks and stack them as we count each one together. We started with one Big Building Bag, and I plan to buy her more sets to encourage her to build bigger, more elaborate structures. She plays with most of her other toys randomly from day to day, but she plays with her blocks daily, and it’s certainly an interest that I would like to foster. I think the building of anything really helps her develop an imagination, not to mention hone her motor skills. I had originally wanted to get her a LEGO Duplo set, but I didn’t like that they were all themed instead of just plain old blocks. I also wasn’t a huge fan of the price difference. I do notice that the Mega Bloks don’t connect as well. While building up, they fit just fine, but if you hold some of them upside down, the connection won’t hold, if that makes sense. But they’re definitely much more bang for the buck for a toddler toy. Added by Guest Mama on March 13, 2013. We LOVE these blocks in our house too! Perfect for little hands learning to build! !